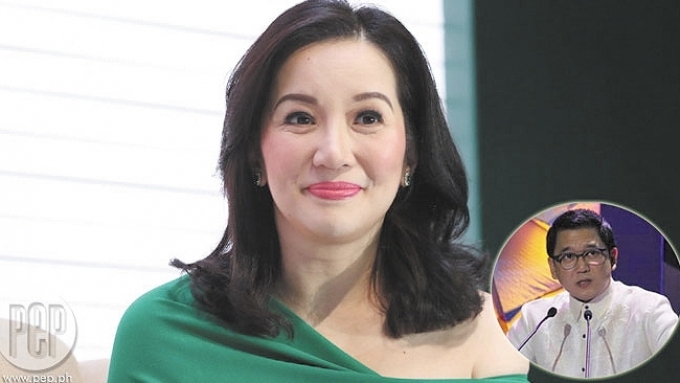 Kris Aquino reveals that her ex-boyfriend Mayor Herbert Bautista proposed to her and gave her a one-carat diamond ring when they met in Rome, Italy, in January 2017. As she told PEP back in April 2017, she rejected the mayor's (second) proposal because "I really realized na, parang, I think wrong timing. When he was already ready, I felt ang dami ko nang na-survive. At ang tagal din naman kitang hinintay." 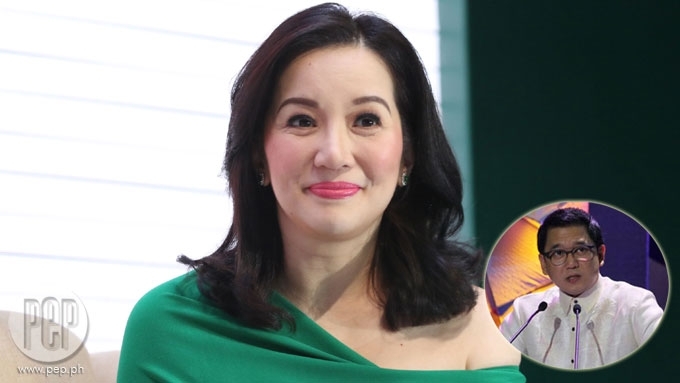 Kris Aquino has just revealed that on January 22, 2017, or 11 months ago, she met up with Herbert Bautista in Rome, Italy, and that while there, he proposed marriage to her. She also said he gave her a one-carat, heart-shaped, D-color diamond ring. Kris accepted the ring, but the next day she decided to return it. In an interview with People Asia Magazine that appeared in the magazine's December 2017 issue, Kris explained why she turned down the second proposal from the same man she wanted to marry three years back. “I returned it the next day because I said that we will always have responsibilities that came before he and I met," said the actress/host. WHAT PEP KNOWS. As early as April this year, PEP.ph (Philippine Entertainment Portal) already had the story of Herbert's marriage proposal to Kris. The story came directly from Kris, who told it to PEP editor-in-chief Jo-Ann Maglipon, in a phone conversation on April 7. However, in the end PEP did not run the story because Kris—after sharing the latest in her up-and-down, on-and-off, secret-and-not-secret romance with Herbert—decided she wanted to keep things private after all. The most recent interview of Kris with People Asia changes the rules yet again. As Kris told it to PEP back in April, the Rome tryst was, indeed, the second time Herbert had proposed marriage to her. The first was in 2014, although that ended disastrously: just days after that proposal, he broke her heart by denying her to the press. A source close to Herbert told PEP that the situation was untenable for the mayor at the time—on the home front, there was objection and pressure from his children. Herbert, who has never been married, has four children by two women: Cray and Race with events producer Eloisa Matias, and Athena and Harvey with radio host Maria Teresa "Tates" Gana. In Herbert's second marriage proposal to Kris in January 2017, he backed up his intentions with a Bvlgari ring. To PEP, Kris revealed back in April, "There was a ring involved." She also revealed, if reluctantly, that it was a Bvlgari, and when PEP asked what happened to the ring, Kris answered, "The Bvlgari ring, I returned." She did not like it, she said, that he had issued her an ultimatum. Kris went on to say that things could really have worked out between her and Herbert. Describing how things were between them around January, she said she was on good terms with most of the people close to Herbert, which included his sister Harlene Bautista and his children with Tates. "Ano kasi, parang, nothing against him whatsoever. 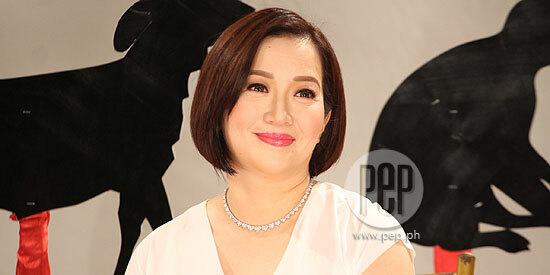 "In fact, nung namatay yung dad [Butch Bautista], even Tates and her kids were nice to me na. I love Harlene and all..."
Continuing, Kris said, "I mean, I even like his friends. Mababait talaga yung friends. "They're from Italy, lahat sila disente, lahat hindi mga typical hangers-on na pulitiko—may professors, may lawyer, may ganun. Ok sila talaga." The caveat, according to Kris, was that she did not see the two of them being happy together in the end. Looking back to April 2014, Kris said that Herbert was the only one she considered taking a second shot at marriage with, after her marriage to professional basketball player James Yap ended in a separation. And it hurt to have him dump her only days after he had actually given a date for their wedding. Over the last three years, Kris has had suitors, but she says she has chosen to remain single. Then Herbert proposed to her again, in Italy, just this year. When he did, Kris said she was very self-aware: "My instinct really told me na baka naman hinintay ko lang all this time because ako ang na-reject. "At hinintay ko lang na balikan ako, at siya naman ang magsisi." BROKEN ENGAGEMENT. In her People Asia interview, Kris made mention of this reversal of roles. In 2017, she was doing the rejecting, but face to face; in 2014, he was, but over the telephone. Recalling the day he broke up with her three years ago, Kris said, “ONE of the lowest moments of my life, I still remember the date, April 8, 2014, inatrasan ako ng kasal ni Herbert. “I was in Bellevue Hotel in Alabang because we were celebrating the seventh birthday of Bimby. It was in her February 2015 blog post that Kris first gave details about her and Herbert’s short-lived relationship—from the night he first got her mobile number to their drive-through coffee dates, midnight movie screenings, and conversations about building a future together. Over merienda on the “first Friday of April” of 2014, Herbert made his first proposal. The day after Herbert proposed, he was photographed with Kris joining a private dinner of her closest family members. Their relationship had taken a serious turn. 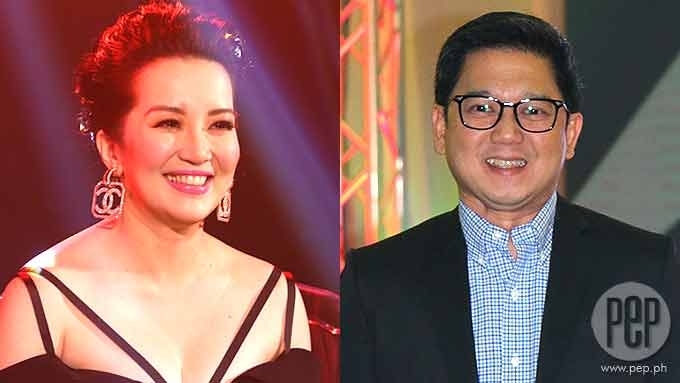 But one night, Kris spoke of their romantic relationship on national television—via ABS-CBN’s now-defunct late-night show Aquino and Abunda Tonight—and all of a sudden Herbert was calling it quits. ON-AND-OFF COMMUNICATION. Since then, Kris and Herbert have had what she once described as a "tumultous relationship"—with them staying in touch like old buddies and then drifting apart for periods at a time. In an October 2016 interview with PEP, Kris admitted to being good friends again with Herbert. She told about how they once met for lunch and talked about all that had gone wrong in their relationship. Even Herbert—who spoke with PEP and other reporters in a separate interview—confirmed that he and Kris were rebuilding their friendship. As far as the public knew, they were just good friends again, at least until their "rendezvous" in Italy was leaked by a February 8, 2017 report in The Philippine Star. They did meet in Italy in January, Kris said to an inquiring press, but contrary to the Philippine Star report, Kris added, she and Herbert did not stay in the same hotel. She explained that she went to Italy for a pilgrimage, while Herbert was there as a member of the government panel brokering peace with the Communist Party of The Philippines-National Democratic Front (CCP-NDF). They met, according to Kris, during his "free day." Speaking to reporters in a March 2017 product endorsement launch, Kris said: “I did see him when we were in Italy, pero very wholesome and prayerful, kasi sa Assisi kami nagkita. “So, yung lumabas doon na item, no, we did not stay in the same hotel. “Walang Roman Holiday na naganap kasi super-dasal naman ang ginawa namin. "And hindi kami naka-dinner, nakapag-merienda lang kami. Kris did not mention then that Herbert had actually proposed to her during that trip. GETTING BACK AT HERBERT? Still in her interview with People Asia, Kris said that turning down Herbert’s second proposal had nothing to do with him rejecting her in the past. She explained, “I returned the ring not because gusto kong iparamdam sa kanya kung ano’ng ‘pinaramdam niya sa ‘kin three years ago before that. “It was because nagising na ako, I just realized that a person like him and a person like me can’t be together because in a home there can only be one star. “And I think, a union like that would require me to no longer be me. Even so, Kris went on to say that she appreciates how Herbert came back to her life like a “knight in shining armor,” ready to sweep her off her feet, at a time when she was going through a career crisis and her brother, former President Benigno "Noynoy" Aquino III, was being charged with various legal complaints. “He came back when I had no network, I had no power, we had no base, dun ako humanga sa kanya. Last November 10, the former president posted a P40,000-bail before the Sandiganbayan for the usurpation of authority and graft charges filed against him following the January 2015 Mamasapano fiasco. OPEN-ENDED LOVE STORY? Talking about the real score between her and Herbert, Kris said, “We don’t even have a relationship at all. “I don’t count it anymore because it was always nauudlot. 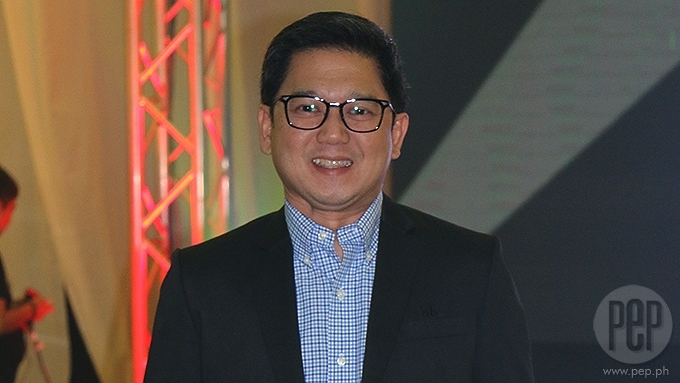 Capping off her big reveal about Herbert's second proposal, Kris noted that they can only be together by the time his tenure as Quezon City mayor ends in June 2019.